Aflac is a leading fortune 500 company that provides financial support to more than 50million people worldwide. For over 6 decades, they are able to directly pay cash benefits to the insured and have given the opportunity to policy holders to be stress free. It was during 1955-1969 the founder Paul and Bill started with just 16 employees and 60 agents. If you need to contact Aflac customer service, the best phone number is 800-992-3522. If you need to speak with someone about sales opportunities dial toll-free 1-800-488-1771. Common problems with Aflac relevant products include expanded distribution channels. It gives services and often faces consumer complaints under income loss protection, asset loss protections and supplemental medical insurances that help recover losses during any crisis. The company is still growing rapidly and first year operations closed at $388,000 in assets. The company has not looked back since, led by it's founder and now current CEO. Daniel Paul "Dan" Amos is an American business executive. He has been serving as the chairman and chief executive officer of Aflac for many years now at their corporate headquarters. One main complaint is not being able to reach help as needed. I took a picture this evening of being on hold for over 2 hours before I hung up. I have been working on a wellness claim for awhile now as I have never experienced problems before. I keep sending in a wellness claim for my accident and cancer, to keep receiving a letter of not covered. I after much time and trouble had an agent tell me that the ones denied was to have been approved. I have sent in for blood work, mammogram, colonoscopy, dental, etc.. I don't know what else you want because I have sent in many requests. Why is there so much hassle now when it went so smoothly before, I have put in so much time and effort for the wellness plan I see where this is really not worth it. I am wanting to know what is needed as I have gone though this many times and how to reach customer service if needed. I am very frustrated and upset with the lack of help received. I am hoping for some very needed help. I am Aflac member and have been for some years but t the moment I am making a formal complaint about the deceptive practices of Aflac claims department; which is attempting to deny my “Physical Therapy Benefits” for year 2015 and 2018; because they lack knowledge Concerning the Florida Department of Health, Division of Medical Quality Assurance and the Florida Board of Physical Therapy Licensing for chiropractors. Now, Recently I filed a claim with Aflac for therapy Benefits under my policy for the 2/18 accident and I also had a previous claim for the 7/2015 accident that was never filed with Aflac. The response that I receive on several attempts from the claims department was denial of Therapy benefits; because the claim department said that both of the claims were not performed by a licensed Physical Therapist and that Chiropractor for each individual accident did not have a license to perform Therapy. However, after speaking to both doctors Gregory L. Williams (License CH4212) and Andrew J. Bellino (License # CH7594); which assured me that not only do they have a license as Chiropractor, but their license also covers Physical Therapy by the Florida Board of Physical Therapy. And, I looked both of them up on the department and verified their physical Therapy license are found that their statement were correct based on the Florida department of Health website that allowed me to check for license verification as a Physical Therapy. Therefore, I believe that there is some form of mischief within claims department that is ignorant of Florida Health Law that governs licensed Chiropractor in Florida that has no restriction to their license. Furthermore, the doctors in question also faxed this information to the Aflac claim department on my behalf; but again based on a lack of knowledge about Florida law the claims department representative denied my claim for “Physical Therapy Benefits” of which I am truly entitled to base on both Dr. Gregory L. Williams (License CH4212) and Andrew J. Bellino (License # CH7594) being licensed with Florida Board of Physical Therapy. Aflac is a good insurance to have but at the moment I feel that Aflac Claims is cheating me out of my “Physical Therapy Benefits”. Again, all supporting documents are attached. Finally, on 6/14/18 I called Aflac and spoke with a representative name Derell - Call reference # F14JFDV; that look very closely at the documents and confirmed that the license of both doctor has not restriction. I was told by the same that he was submitting a approval to claims because this verifying information but again someone with the Claims department denied my claims again. To Aflac: if I have to take you to small claims court over this matter I will because the I have verified the license to perform Physical Therapy status of both of these doctors in question. My father in law (John B. Pitts) passed away on 26 January 2018. He had a two policies with AFLAC and an automatic monthly withdrawal of $17.30 from his bank account. AFLAC was notified of his death immediately and asked to terminate the monthly automatic withdrawals. However, AFLAC continued to automatically withdraw the $17.30 monthly premium for February, March, and April. A Death Certificate and Estate appointment letter was sent certified mail to AFLAC. In May 2018, I called AFLAC to confirm receipt of required documents and inquire as to when the Estate will receive a refund for the premiums withdrawn in February, March, and April. I was informed that Mr. Pitts package was being reviewed by their legal office. On September 10, 2018, I sent a certified letter to AFLAC requesting they provide information as to what was happening concerning the refund of the three months premiums that was automatically withdrawn from my father in laws bank account. As of 12 November 2018, AFLAC has not made any contact with me or my wife, nor have they refunded the premiums that were withdrawn after my father in laws death. I filed my claim during the first week of May and it is still pending. NOT TO MENTION THAT THEY NEVER REQUESTED PAPERWORK FROM MY DR. THEY SAID THEY SENT THE REQUEST AND I VISITED RECORD AT MAIN OFFICE. THEY SAID AND SHOWED ME THAT NOTHING HAS BEEN REQUESTED BY AFLAC. So that delayed the claim even longer. The correct paperwork took forever. AFLAC is horrible and falsely advertised and then when you call they say and I quote " it's in that tiny print that no one reads" Those words come directly from a supervisor. I purchased a Cancer policy, find out in this year that I have cancer. I filed a claim with Aflac and now they are refusing to pay. The claim is in "supervisor mode," which a manager is stating can stay indefinitely. I am not happy with that we always hear about insurance companies taking people’s money and then later refusing to pay the claim. Aflac is doing the same here with me and many other people. Aflac you should want to be better and do your customer right. DO THE RIGHT THING! My dad Tommy Treadway completed a change of beneficiary on line 1/30/2017 for his Cancer and Intensive Care policy after the passing of my mom. Evidently it was not processed when completed and I was told today that there was no beneficiary assignment for cancer and intensive care policies. I have a copy of both. Very disappointed! My ex-husband passed away on August 24, 2017. He listed med as his beneficiary on his life insurance policy but my status is "wife" nit ex-wife on the policy. There is also a contingent beneficiary. I sent the divorce papers they requested by email on September 14, 2017. I have spoken to a person in legal several times, the last time being this afternoon and was told the papers have not even been looked at yet because there are only two claim processors who do that. I have been waiting 6 weeks to get this clam completed to either send the money to me or my son who is the appointed commissioner of the estate per the probate court, I feel this is an extreme amount of time for this claim to be completed. I have worked with Aflac before and was extremely satisfied with the speed of getting a claim processed and the check to us during a very difficult time. 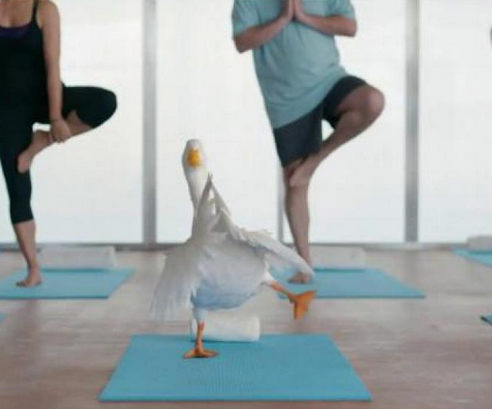 I am just completely disappointed in Aflac this time. If there is anything that can be done to expedite this process, it would be very much appreciated. Thank you. I signed up for Aflac through the company in which I work. Everything went through in a timely manor required got policy number and statement in the mail saying I was approved also with a date policy would be effective 1 mo. Later I got a letter from the Aflac corporate office stating my policy was canceled without notice or reason. I now have work related injuries with no compensation. I thought this company was supposed to be their for it's customers? But I guess I was wrong. I love the Aflac duck commecials. Not sure about the company or customer service, but the commercials are hilarious. I like to think that a company with good people makes good commercials. So if I ever did need insurance I would go with Aflac. Had to be one of the most succesful ads of all time right? Insurance with a difference. This is what defines Aflac and I am glad to get an insurance much more than just health insurance. A security that allows you to live a tension free life in case of any injury,illness in our day to day life. I have used Aflac and found even the claim process to be very quick and efficient. Within 4days they have processed my claim which I would have never expected from other insurance compaines. Aflac is the right choice for me and I would definitely recommend this to my friends and colleagues for want insurance that suit their budget.